We collaborate with our stakeholders to ensure we explore all the available options. This ensures that everything we do is beneficial for both you and your community. We believe in full disclosure and transparency with all our stakeholders at all times. We avoid jargon, so we can communicate clearly and simply. We strive to achieve excellence in our approach to all projects, no matter how large or small. Promises to create hedgehog highways: we will cut a 5in hole or dig a channel under our boundary fences so hedgehogs can wander from garden to garden to find food. 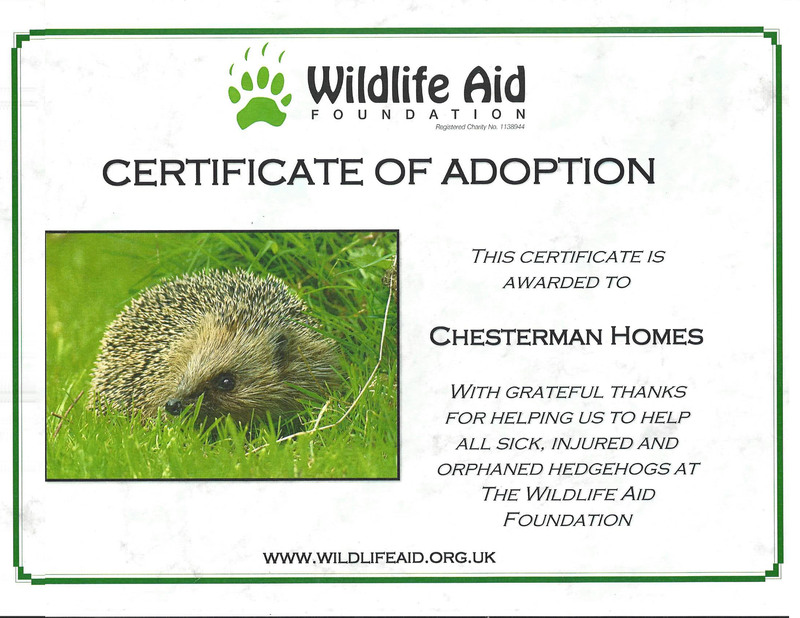 Has adopted a hedgehog through www.wildlifeaid.org.uk. Is raising awareness of hedgehog decline by promoting “Wild about Gardens” and “Hedgehog Street” in our marketing literature. 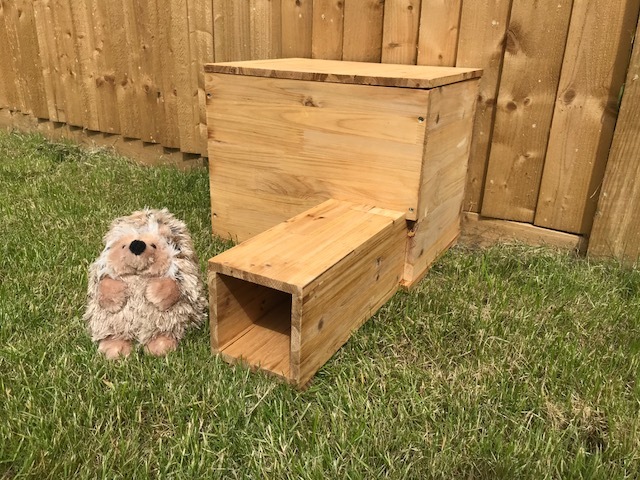 Promises to build a hedgehog home in your garden if you sell your garden to us. Our planet and its wildlife: We have adopted a hedgehog, and we ensure all gardens attached to our properties are hedgehog-friendly. Supply chain: We expect our building materials to align with our own ethics and values. We therefore source them from Travis Perkins, which has strict supplier commitments. So, when you work with Chesterman Homes, you know that all our timber products are from legal and sustainable sources. All our building materials comply with environmental legislation, and we use the minimum water and energy throughout our operations. Our people: The Chesterman Homes team has been working together for many years – we’re like one big family. All our building contractors hold the relevant health and safety qualifications. Waste: Where possible, we recycle waste. We work with Rabbit Skips, a company that creates energy from waste, thus minimising the amount of waste that goes to landfill. You may have noticed that a subtle little hedgehog forms part of our logo. Why a hedgehog? Unfortunately, our spiky hedgehog friends are under threat, due to housing development and loss of hedgerows. In the 1950s, there were 30 million hedgehogs and now there are thought to be only one million hedgehogs left in the UK. As a responsible property developer, In 2017, Chesterman Homes supported the Royal Horticultural Society’s ‘Wild About Gardens’.